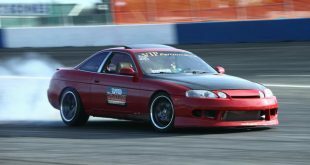 April 25, 2017	Uncategorized Comments Off on May 14th Open Drift! 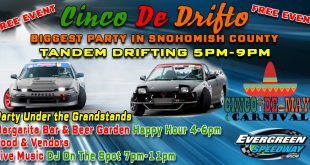 Cinco de Drifto Tandem Drift! 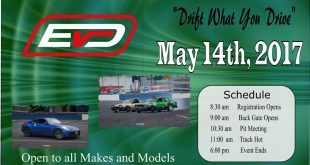 Drift What You Drive Open Drift April 30th! 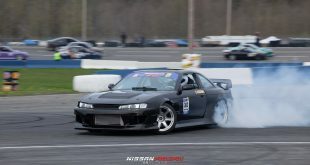 Formula Drift ProAm Round 1 @ Evergreen Drift! 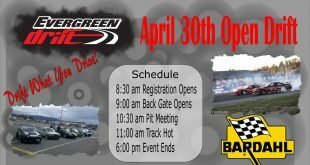 April 30th Open Drift Registration! 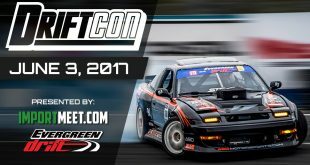 Friday Night Drift: April 14th!